The Downtown Pittsburgh Ministerium, Inc., exists to provide a united Christian witness in the heart of the City of Pittsburgh and to reach out in love to the homeless, the poor and others in need. Its membership comprises the clergy of the churches, ministries, and non-profit social service organizations which are located in the downtown community and adjacent neighborhoods. In 1980 the senior pastors of five downtown Pittsburgh churches in the “Golden Triangle”, St. Mary of Mercy, First Presbyterian, Trinity Episcopal Cathedral, Smithfield United Church of Christ, and First English Evangelical Lutheran, gathered in the office of the Dean of Trinity Cathedral to coordinate a ministry to the homeless and chronically poor whose numbers were rapidly increasing. To accommodate the number of people who turn to the churches’ services in a city like Pittsburgh, the five parishes came together to address problems that one church alone couldn’t handle. The churches decided that by working together they would provide a united Christian witness to those seeking assistance. Early on, the Ministerium was much more focused on those five churches in Pittsburgh’s “Golden Triangle” becoming connected. Over the years, the Ministerium has been directly involved with alleviating human suffering through ministry to at-risk youth, to homeless women, and to those with a wide variety of emergency needs. The Ministerium established a youth drop-in center with the aid of Three Rivers Youth and the Bethlehem Haven Shelter for women. 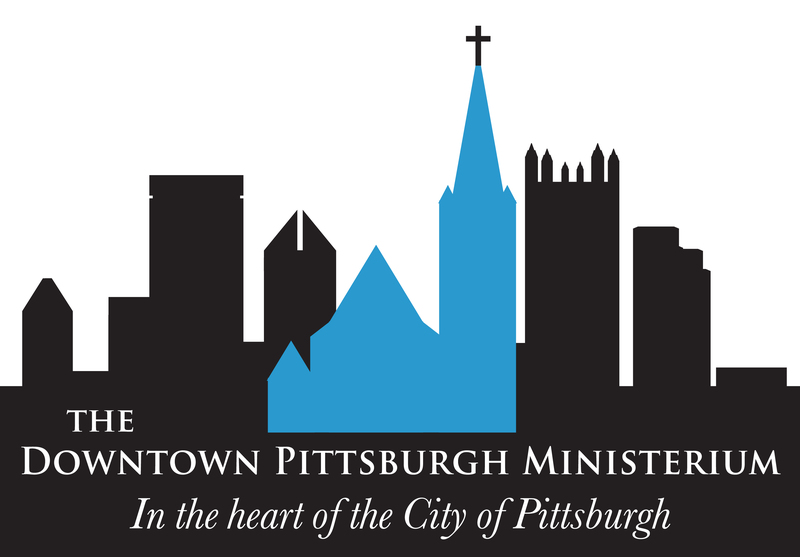 Now, the Ministerium includes multiple churches and ministries in Downtown Pittsburgh. Although the churches may be of various denominations, what is good for one has proven to be good for all of them. The Ministerium does not view itself as a social service agency, but primarily a place of spiritual respite for the many and diverse individuals in the downtown area. One congregation often prays for the others, helping to strengthen them as a whole. The parishes rely on each other to uplift those in need. Although staff and volunteers may speak humbly about these churches’ impact on Pittsburgh over the last three decades, their unity has proven to be an invaluable asset that cultivates a sense of warmth amid the harshness of urban life.